Settings: Formula 37, Render 8, Inside-Out, Color 14-1 modified. 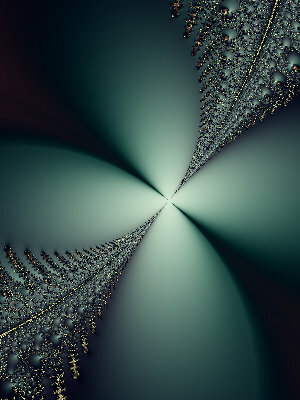 One doesn't use a fractal program like Sterlingware to generate images so much as to simply explore them. I'm sure many people who like using this program just experiment and explore with it without saving any images.